The Sante Fe New Mexican has a high-level overview of a few court battles going on. The focus is on the "torrent" of litigation around the country post-Heller. It's not an unfriendly article by any means, painting the NRA as active and aggressively championing rights, using examples that I think most can identify with - Peruta, who says he's not a hunter or gun-nut, just wants to defend himself, and Haga, who appears caught up in a case of mistaken identity. My Take: This article doesn't give credit to the other organizations like SAF that are actively involved in legal cases, and I know some people really take umbrage with that. However, this underscores how NRA is our figurehead to the media, like it or not. It needs your support. 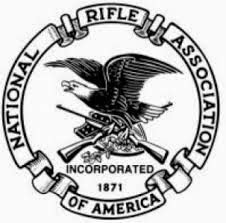 All of us on the side of civil rights know there are more organizations in addition to the NRA doing the ground work, many times out in front of the NRA. They get credit from the people who matter. But for the media, it's a real advantage that we have a large grass-roots membership consisting of millions that can be that face. Please be courteous and of good spirit.